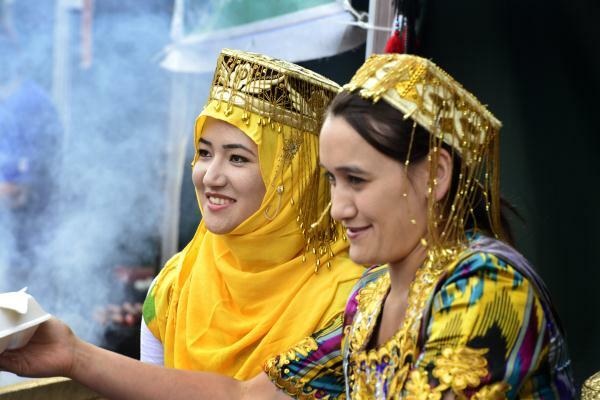 Nasiba and Shahina from Dandenong's Pamir Afghan Restaurant serve up food at a previous World Food Fare. DANDENONG Market will become a pop-up street food bazaar for the fifth annual Dandenong World Fare on Sunday 13 March. The free Melbourne Food and Wine Festival event will showcase the region’s best multicultural cuisine and feature cooking classes and entertainment from 10am to 4pm. More than 26,000 people attended last year and organisers expect that number to grow this year. There’ll be almost 40 food traders representing countries from across the globe – from Mexico to Cambodia, Spain, Argentina and Bosnia. Live entertainment will include flamenco and Brazilian dancers in traditional costume, and cooking demonstrations in The Kitchen by Dandenong Market’s resident chef Russell Bald. Face painting, craft workshops and carnival rides will keep kids entertained. Dandenong Market general manager Jennifer Hibbs said the World Fare was the perfect introduction to the cuisines of Greater Dandenong. “After 30 years of working with market places in Victoria, Dandenong Market World Fare is by far the most diverse showcase of traditional street food vendors and market traders that I’ve seen in Melbourne and the greater Melbourne area,” she said. The Dandenong World Fare will take place on the southern car park, directly east of The Bazaar and Market Square and accessible by walking through the market or by foot via King or Clow streets. Event parking and entry are free and tasting plates are priced from $1. A free courtesy bus stopping at Dandenong Railway Station and Langhorne Street will run from 9.45am to 4.15pm.